Holidays mean parties and parties mean games! Christmas is no exception. Here are some of the most fun and festive Christmas Party Games to play at home, at work, even at school. 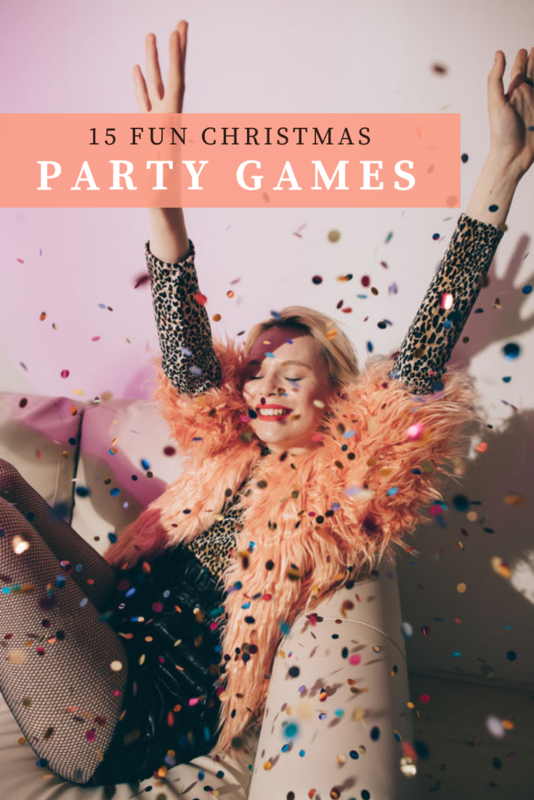 The party games are broken up by category below so find what you are looking for an have the most festive party yet! We’ll definitely be playing these Christmas party games leading up to the big day at all the holiday parties on the calendar. I mean you can only drink so much egg nog until you need to let out a little game playing revelry. Have you ever played the Christmas pickle game? You know, the one where you hide a pickle ornament in the Christmas tree and the first one to find it wins a special gift? Well, this is like it only I’m giving you the freedom to use any special ornament you’d like. It works really well for families with multiple (young) children to hide a special ornament for each child. That way everyone is a winner! ;) When the kids get older (and a bit more competitive) it’s fun to have a single winner. And the rule is, if you win this year then you’re the ornament hider the next year so that everyone gets a turn to give and to receive. Now that’s the holiday spirit! This is such a fun way to send the kids on a treasure hunt Christmas morning. Or, you could do a hunt the whole month of December, kind of like an Advent Countdown and leave little clues out each day that lead to a surprise Christmas activity. There are lots of free printables like this to get you started on writing clues. 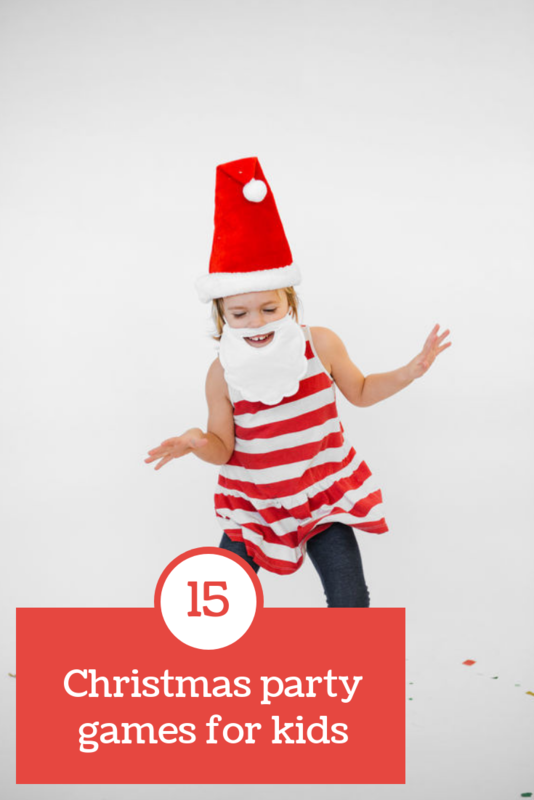 You can either hide presents or activity ideas for the kids to discover. Things like making a snowman, drinking hot cocoa, or baking Christmas cookies are great ways to get the whole family in on the fun! Finding appropriate Christmas party games for adults to play at work can be a challenge. Using these 8 holiday office party hacks, I’m sure the rest of the party is going to be great. Try one of these Christmas games for work to bring the entire event together and make it fun for everyone. Charades is always an entertaining party game. And I find it particularly hilarious to play with fellow co-workers who may not typically be dancing around and acting out silly phrases. There are so many different Christmas-y things to include in a game of charades. Some ideas to get you started: driving Santa’s sleigh, kissing under the mistletoe, singing Christmas carols, decorating the tree, drinking eggnog. Can you think of some more? Adorn a pair of virtual reality goggles and have everyone attempt this old fashion kids game. Your co-workers will get a kick out trying to play this Christmas party game for adults at work this year. Try to put a Santa hat on a tree, or Rudolph’s red nose on his photo while flying though your own video world. It’s hilarious to watch and fun to play. Like skee ball, and maybe a little like beer pong too…but way more festive and office appropriate! Toss the jingle bells into paper cups that have been assigned different points to see who can rack up the highest score. This is one of favorite Christmas party games for adults to play with a large group, since it’s not very involved guests can mingle as they toss and don’t have to stay close to the table. This first idea is a quiet school Christmas party game that will give everyone a moment of peace in the middle of the classroom party chaos. Hand out blank sheets of paper and crayons to each child in the class. Then, blindfold them (once they’re safely seated) and begin the coloring instructions. They’ll have to draw all sorts of fun Christmas things as you announce them one by one from a list. Think things like a Christmas tree, Santa Claus, a candy cane, etc. Once you go through the list, have everyone remove their blindfolds and see how well they were able to draw the pictures without being able to see, what silly colors they used for certain things, and how many laughs you hear! Bust out the wrapping paper and bows for a gift wrapping contest unlike any other. Because this time, the people are the presents! Have the kids split up into a couple groups, with at least 3 on each team, one present and two wrappers. Try the contest out a few ways: fastest wrappers, most covered from head to toe, and prettiest present. 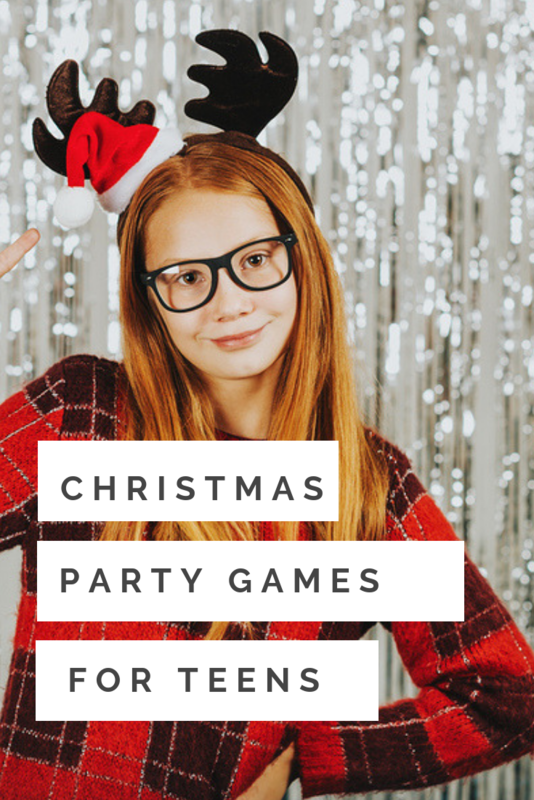 The older kids especially love this type of school Christmas party games for classroom parties – they are over the little kid crafting and something as fun as a person present wrapping contest they’ll remember all break long. Stack paper cups decorated as snowmen upside down in a pyramid formation. Then, let the kids take their turns knocking them down by throwing faux snowballs at them. This would certainly work with real snowballs too, although I’d definitely recommend you keep it outside and use plastic cups! We did this last year in our as one of our DIY holiday party games and it was a blast. Ahhh the smells of the season…cinnamon, cloves, pine, cookies, hot cocoa, peppermint, and more. There are so many yummy smells that remind me of Christmas. This game is fun for kids because it really gets them thinking about using their senses to guess the smell. Put some little cloves, a fresh out of the oven cookie, some pine tree leaves, etc. each in their own little jar with paper around the outside so they can’t see what’s in there. Let the kids take turns smelling the jars one by one and writing down their guesses for what’s inside. Then, do a big reveal and see who’s got the best nose! P.S. You’ll really score big if you bring extra goodies to munch and sip on following the game! We recently did a Christmas classroom party where we included a bunch of minute to win it games and the kids loved it! Minute to win it games are great for Christmas party games for kids because the kids move to the next game after a quick minute. I keeps the energy high and everyones attention. Plus, they are just a whole lot of fun to play. Rope the reindeer – have a bunch of blow up reindeer (or cut out ones) and see who can rope the most the fastest. Snowman building – which team can build the best snowman in under a minute out of white Styrofoam balls and fun accessories. Bell moving – Take a bowl of miniature Christmas bells and get them across the room with a spoon, whoever gets the most moved in under a minute wins. Drive Santa’s sled – create a paper cut out of Santa’s sled and blow it across the finish line with a straw. This minute to win it Christmas game works best on a long smooth table. Ho, Ho, Hoooooo – Have the kids give their best Santa bellow and record it for them on a parents phone. Much like our selfie hot potato party game, but this one not being shared. The kids will love to see their videos and everyone votes who makes the best Santa song – a quick beard to put on makes this minute to win it Christmas game extra fun. The teen crowd can be a tough one to please with Christmas party games. They are too young for the more adult stuff and too “big” to play the kids games. These Christmas party games for teens are perfect for this very cool and hard to please crowd. Bobbing for apples is so last season. Christmas calls for something special and bobbing for marshmallows just sounds so sweet. Fill bowls with *cooled* hot cocoa and lots of marshmallows. I’d recommend doing the mini mallows since it’ll be easier to grab the big ones + harder to get to the smaller ones before they melt into the cocoa. This game which is similar to our shoot the turkey game we play with our yearly Thanksgiving games is the type of Christmas party games for teens they’ll love. Blow up a bunch of Santa balloons using helium, add strings, and tie them down with weights. These balloons are easy to find this time of year. Give the kids 5-7 balloons and assign each a different point value. Hand out nerf guns and let ‘er rip! Ugly sweater parties are a token Christmas experience. Instead of wearing a ugly sweater to the party, teens can gather together for a crafting sesh at the party! Have everyone bring a sweater to decorate. Provide paint, glue, glitter, sequins, and anything else laying around your craft closet for designing some custom creations that are sure to get lots of giggles. And of course, ugliest sweater takes the cake. I think that’s something everyone can agree on! 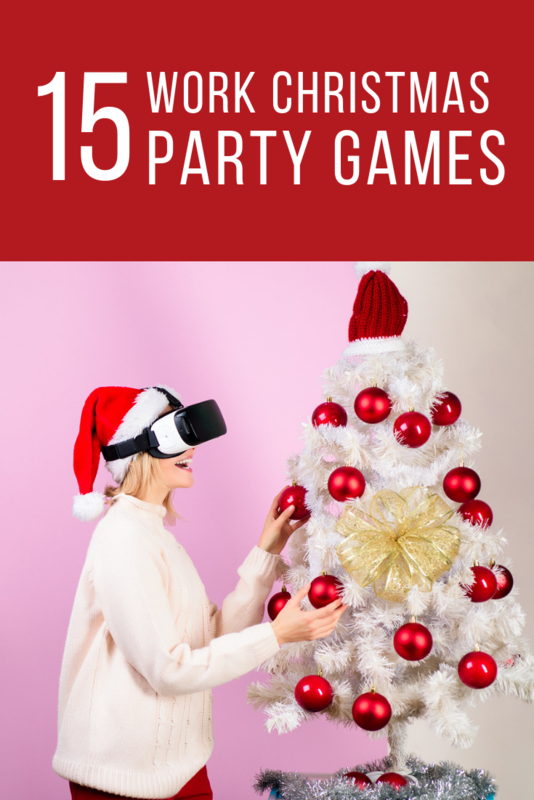 I hope you found something unique and out of the ordinary from this list of Christmas Party Games that you just can’t wait to try. Whether you’re home with family, at the office, or in the classroom, there’s plenty of party with these games. Have a merry time celebrating! And one quick Christmas party game idea you can use anywhere and buy easily is LRC. Have to played this before? Everyone starts with 3 dollar bills and the winner takes the pot! It is so fun to play with kids of any age and the entire family will get very into it, once they realize there is actual money at stake. It’s easily a favorite game for any party we throw. Thank you so much for this cool list! There are many games I have never heard of! A party can’t be completed without some fun games.